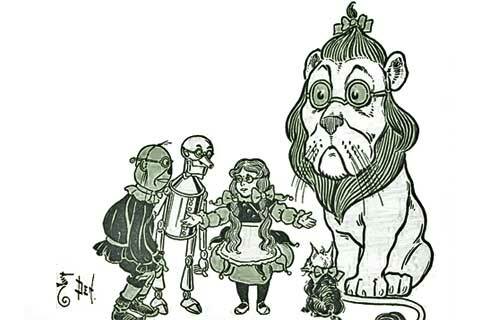 I find it interesting that the Frogman in The Lost Princess of Oz is said to wear “great spectacles with gold rims, not because his eyes were bad, but because the spectacles made him look wise.” I don’t know how old the stereotype is of glasses making people look smart is, but it was quite in evidence in L. Frank Baum’s time. It is generally thought to originate from the idea that people who need to use their eyes a lot tend to be more educated, as they use them for reading and such. So I suppose the Frogman, wearing glasses he doesn’t need in order to appear smarter than he is, could be considered a fake nerd. I have to wonder who made the glasses for him, although since he doesn’t really have bad eyesight, the lenses wouldn’t necessarily have been specially crafted. 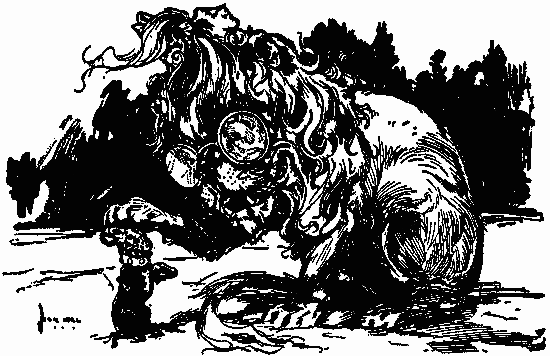 We’re also told in The Road to Oz that the King of Foxville and many of his courtiers wore glasses, “making them look solemn and important.” Interestingly, John R. Neill doesn’t draw the Fox King with glasses, but he does put them on the King of Dunkiton, who isn’t described as wearing them in the text. 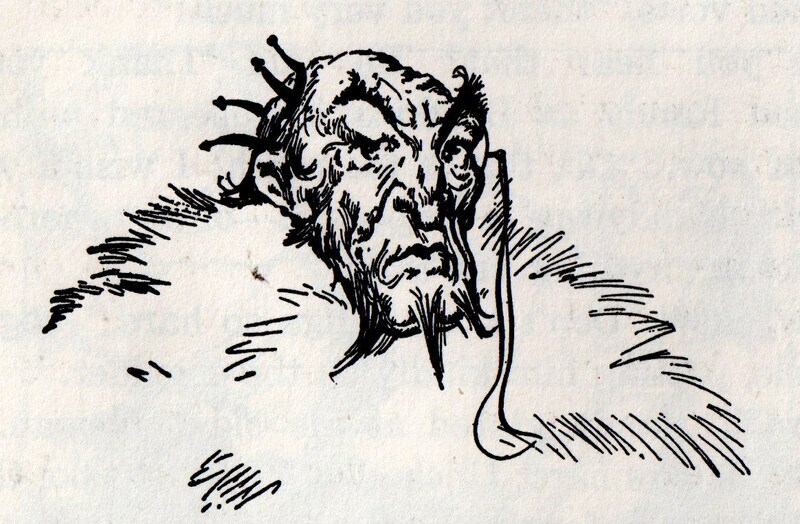 Probably due largely to the illustration, I’d mistakenly remembered King Kik-a-bray as another character who wore spectacles to make himself look smarter than he is, which I guess he is if you go by the pictures. This makes him similar to the Frogman, except he’s less intelligent than the frog. 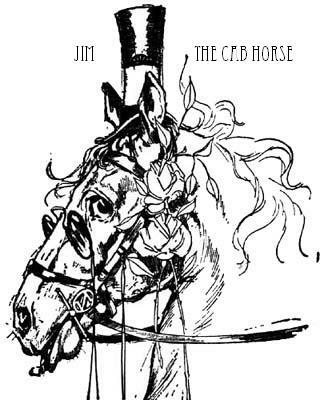 Neill also draws glasses not specified by the text on the Wise Donkey, the Cowardly Lion, Jim the Cab-Horse, and Kabumpo. 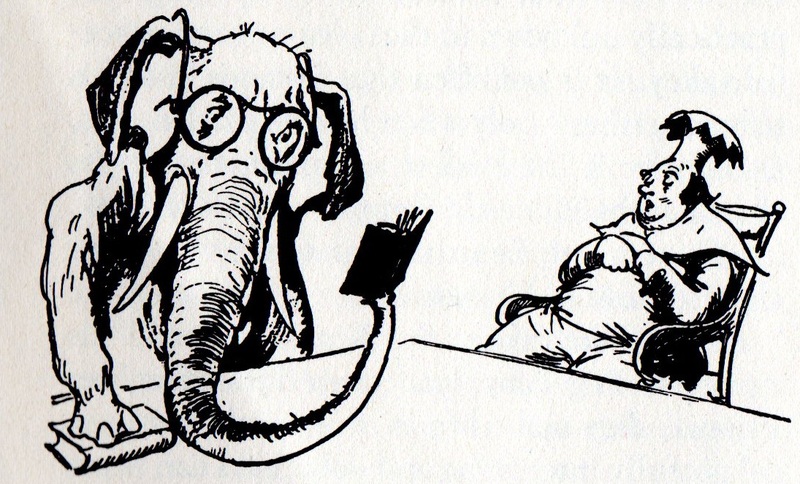 Actually, I’m not sure there isn’t a mention of the Elegant Elephant wearing spectacles (not counting the Looking Glasses, which I’ll bring up later) in the books. 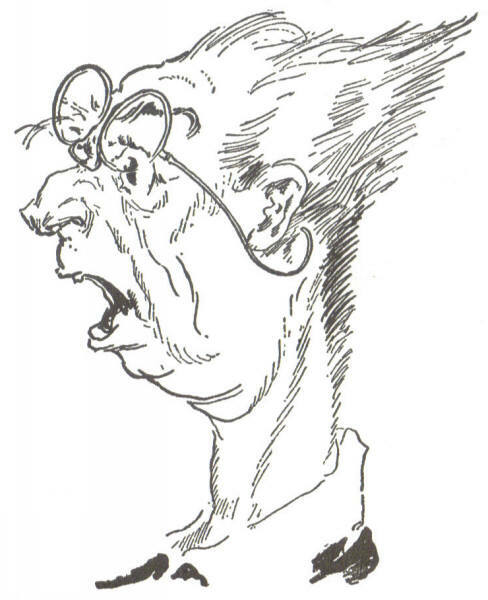 Ruth Plumly Thompson casually mentioned characters wearing “specs” so often that I can’t really keep track of all of them, and how often Neill actually drew them. 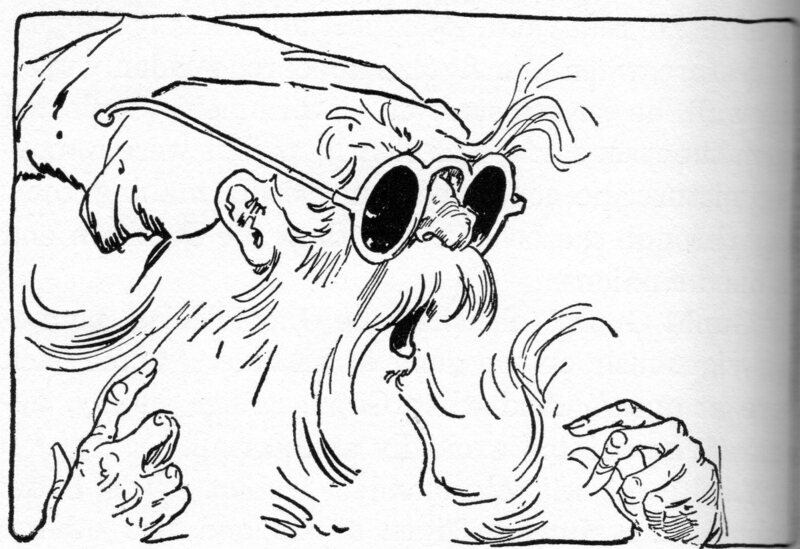 Wumbo the Wonder Worker in Gnome King wears glasses, but it’s Neill’s interpretation to show him wearing three pairs at once. 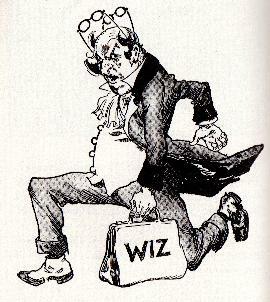 In the same book, there’s a drawing of the Wizard of Oz wearing two. 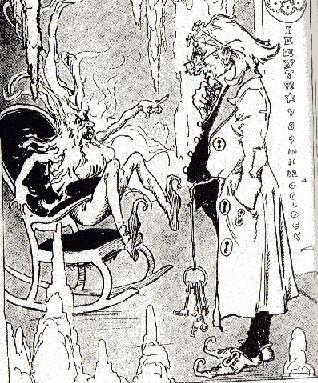 Blink, the Scarecrow’s housekeeper, is shown in Royal Book wearing his upside down, as per the text. 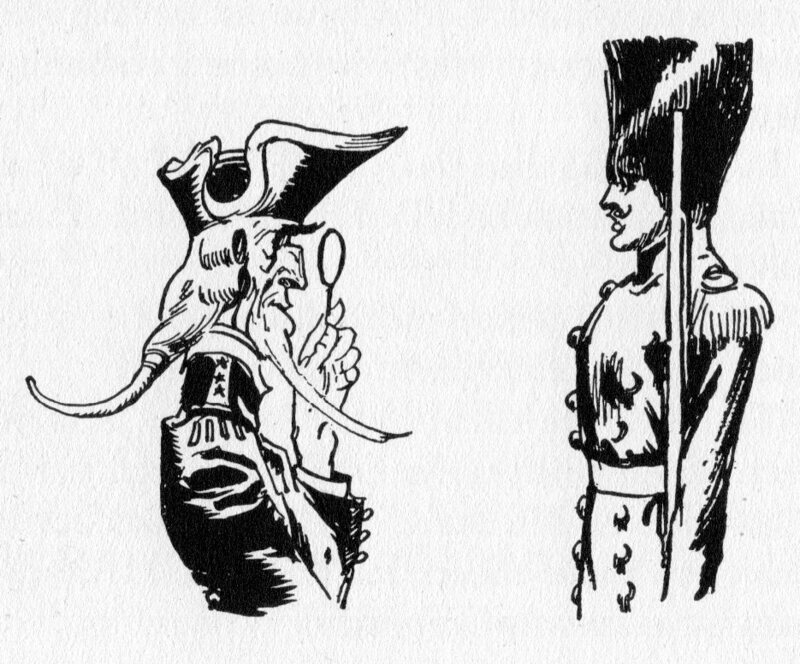 Grand Duke Hoochafoo in Purple Prince and Silver Princess has both a monocle and spectacles, but only the former is ever shown in pictures. 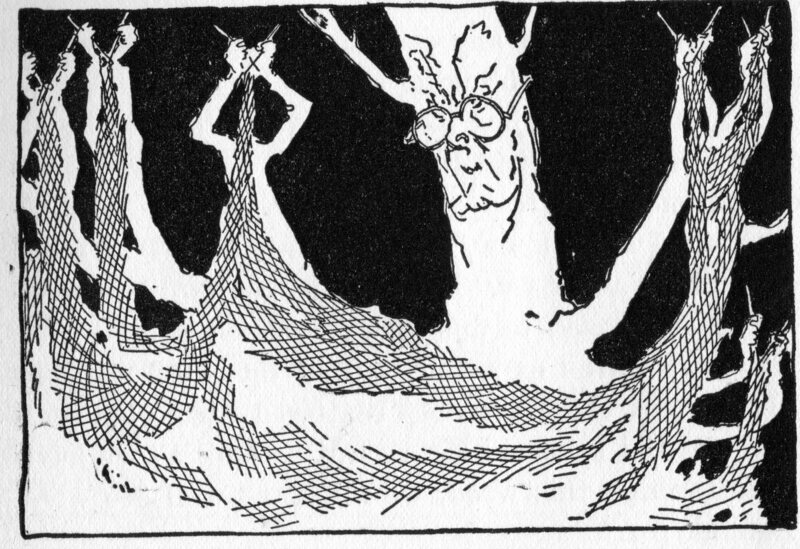 The knitting tree in Cowardly Lion isn’t said to wear glasses, but I guess it fits with its activity. The nerdy boy Alexample in Neill’s Runaway wears glasses in Eric Shanower’s illustrations, but I don’t recall if they’re mentioned in the text. 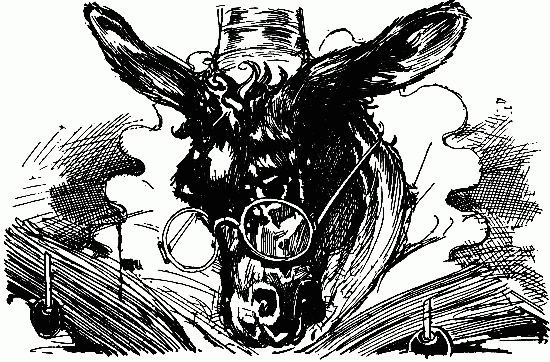 Perhaps the most famous spectacles in the Oz series are the ones everyone in the Emerald City is made to wear during the reigns of the Wizard and Scarecrow. The Guardian of the Gates locked them onto the eyes of residents and visitors alike, claiming it was to keep them from being blinded by the glare of the emeralds, but according to the Wizard actually to make the city look greener than it really is. It must have been uncomfortable to sleep with them on. I’ve heard that one of Baum’s Our Landlady columns mentions a farmer giving his horses green glasses so they think wood shavings are grass, which might have been his first use of that basic idea. The Guardian actually still wears the green glasses in Road, although nobody else does. 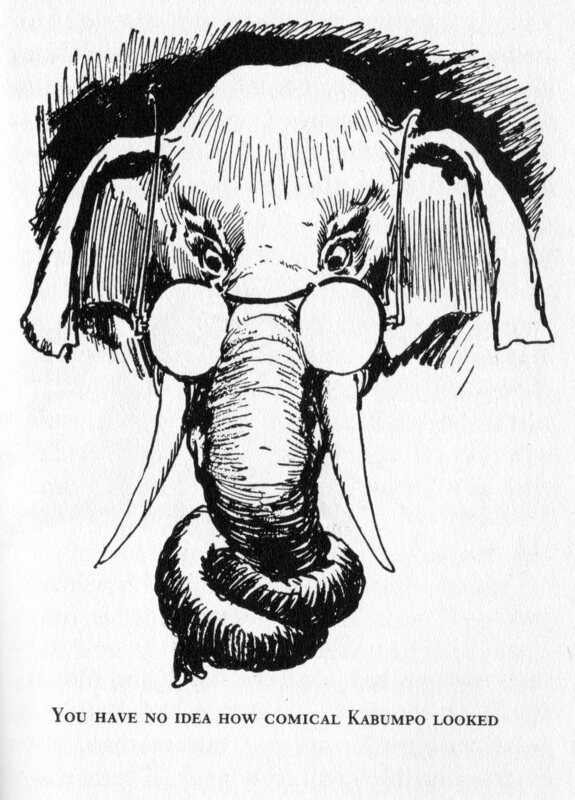 Perhaps the prominence of W.W. Denslow’s illustration of the Lion wearing the glasses inspired the Neill picture from Road that I shared earlier. More ordinary sunglasses are seen in Pirates, where Ruggedo trades them for food, clothes, and lodging. Whether he made them himself or obtained them somewhere isn’t specified. And Faleero wears dark glasses in Purple Prince when disguising herself. Finally, I should say a few things about magic glasses, which show up a few times in the series. Expectacles, smoked pink glasses that let their wearer see things before they happen, are an invention of the Nome Wizard Potaroo. Kaliko’s pair breaks in Hungry Tiger, but he has them again in Wishing Horse. 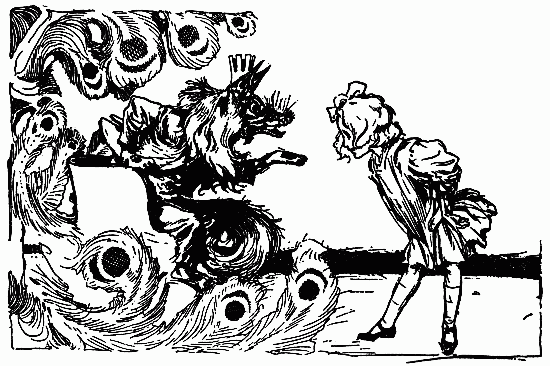 The Scarecrow also wears a pair of them in Thompson’s short promotional play A Day in Oz, and they’re mentioned in one of her non-Oz poems as being worn by fairies. The Red Jinn‘s Looking Glasses draw the wearer toward whatever it is they’re looking for, and the Wizard mentions having Looking Glasses of his own in Handy Mandy. He also has a pair of “magic specs” in Enchanted Island, which he uses to determine that the last two buttons on King Rupert’s vest are good magic. 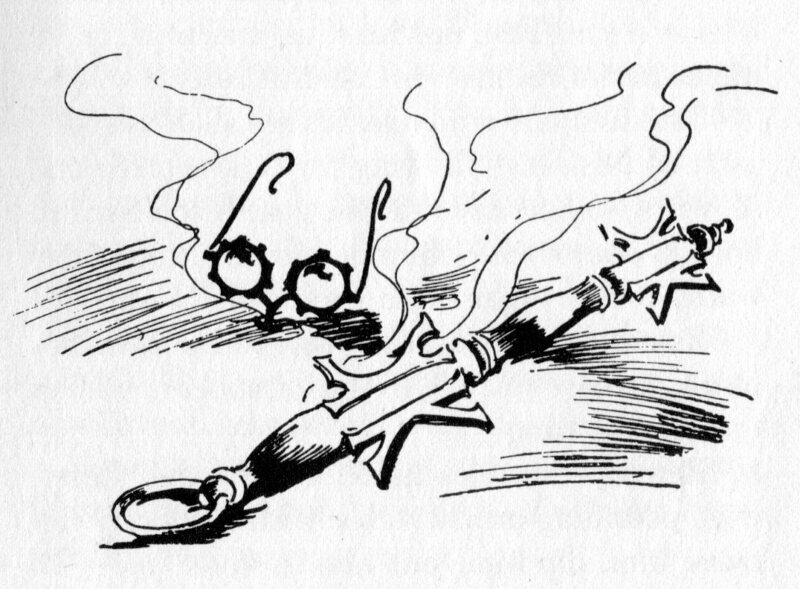 And while The Master Key isn’t Oz, it is a Baum fantasy, and one of the gifts from the Demon of Electricity is a pair of spectacles known as the Character Marker. These tell the nature of anyone the wearer looks at with letters projected on their foreheads: G for good, E for evil, W for wise, F for foolish, K for kind, and C for cruel. It’s kind of a simplistic system, but it still sounds like it could come in handy. 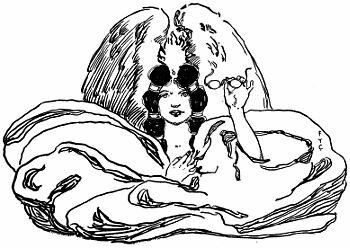 This entry was posted in Characters, Eric Shanower, John R. Neill, L. Frank Baum, Magic Items, Oz, Oz Authors, Ruth Plumly Thompson and tagged alexample, blink, character marker, cowardly lion, demon of electricity, dunkiton, emerald city, expectacles, faleero, foxes, foxville, frogman, glasses, grand duke hoochafoo, guardian of the gates, handy mandy in oz, jim the cab-horse, kabumpo, king kik-a-bray, king renard iv of foxville, looking glasses, monocle, nome king, our landlady, pirates in oz, potaroo, red jinn, spectacles, the cowardly lion of oz, the enchanted island of oz, the gnome king of oz, the hungry tiger of oz, the lost princess of oz, the master key, the purple prince of oz, the road to oz, the royal book of oz, the runaway in oz, the silver princess in oz, the wishing horse of oz, the wonderful wizard of oz, w. w. denslow, wise donkey, wizard of oz, wumbo. Bookmark the permalink. Yeah, I remember that. I suspect he was trying to compete with the Frogman.